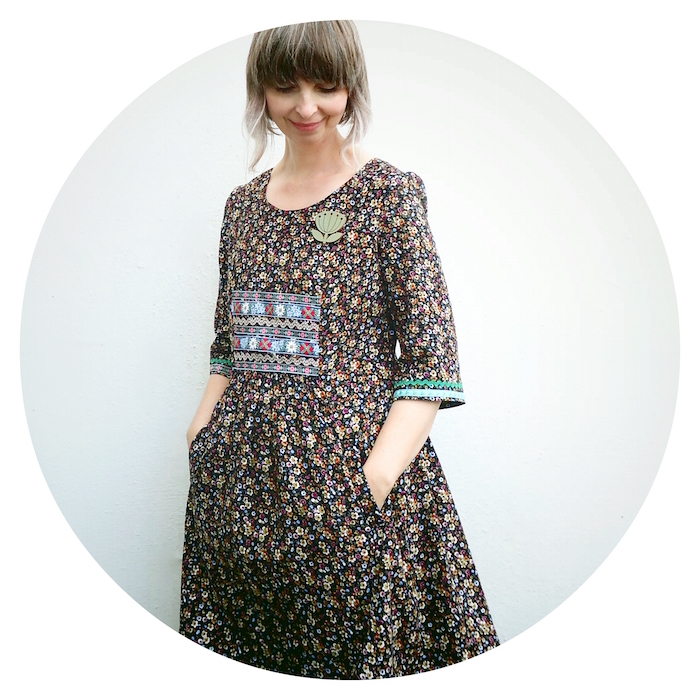 My final dress make of the year is a Cinema Dress trimmed with embroidered ribbons and braid. 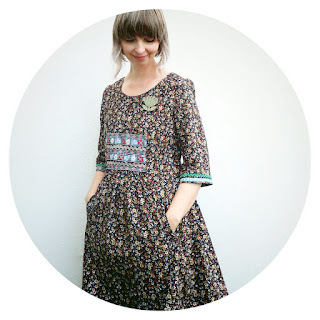 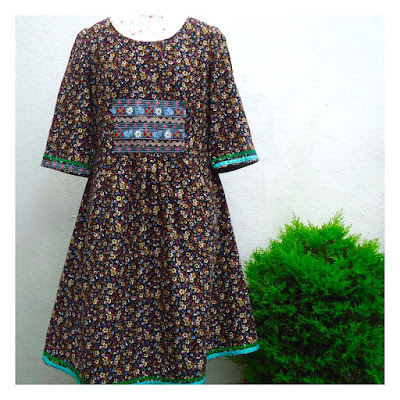 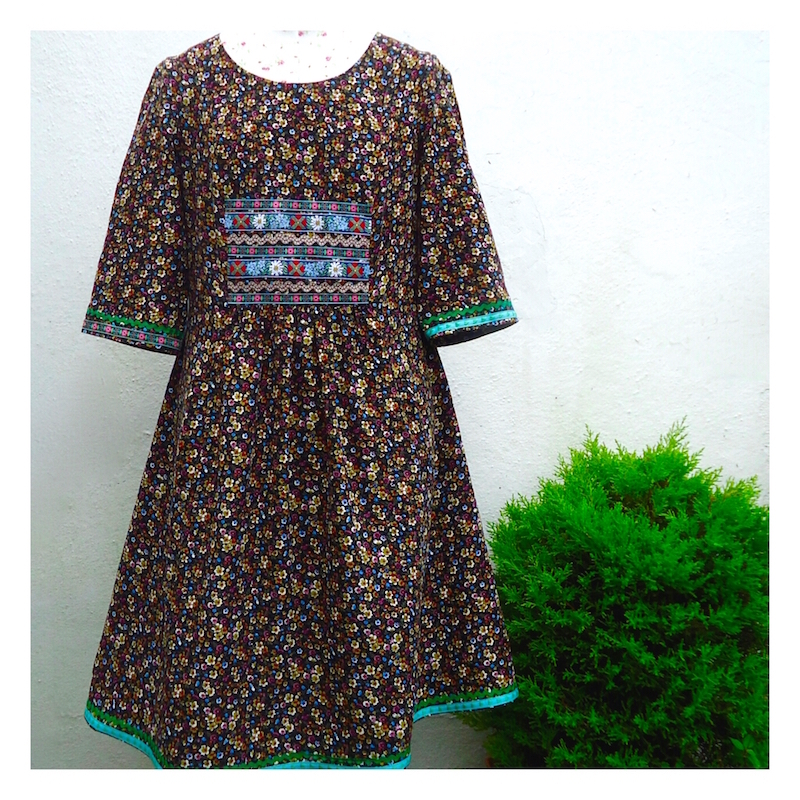 It's the second dress I've made from this Liesl + Co sewing pattern and this time I used a soft floral corduroy – my favourite choice of fabric for winter dressmaking. 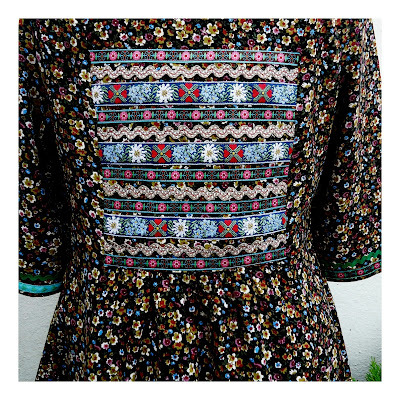 Inspired by Gudrun Sjödén's beautiful Midvinter collection, I decided to sew a heavily brocaded panel on the bodice using different braids and embroidered ribbon collected over the years. It took some time to get the placement right! 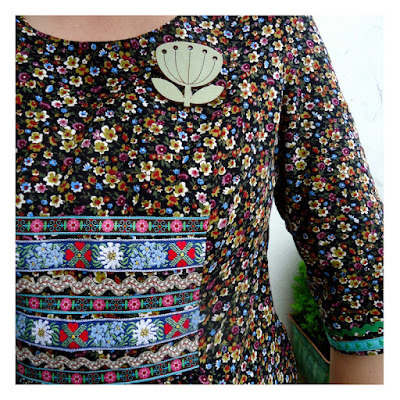 The finished frock has a festive folksy feel and will see me through this season's celebrations.